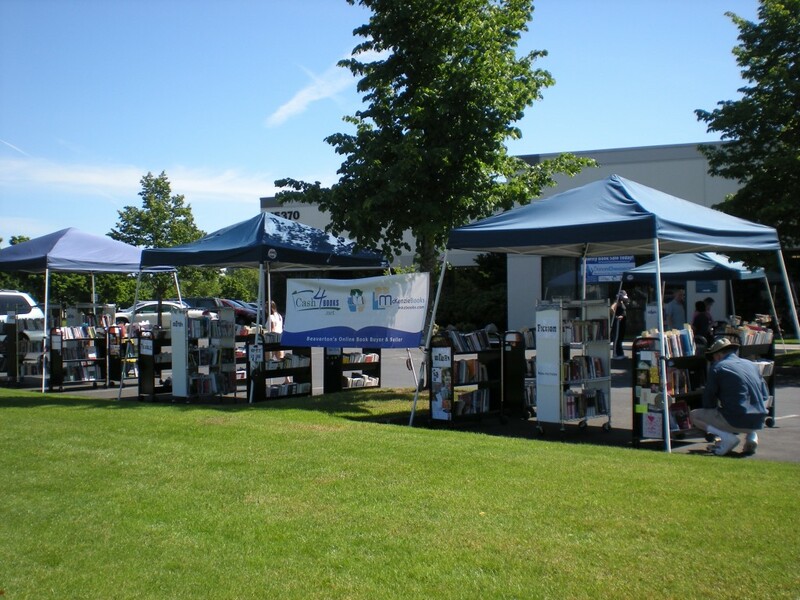 Take thousands of discounted books, a great staff of volunteers, hundreds of bargain-minded shoppers; add in three days of beautiful weather and one great charity and what do you get? 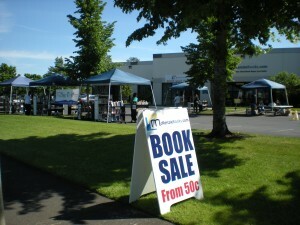 That’s the recipe for a very successful McKenzie Books Charity Sidewalk Sale! 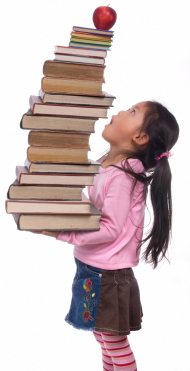 Last week, McKenzie Books sold nearly 2,700 books priced at 50¢ and $1.00 to raise a total of $1,652.57 for our favorite charity, DonorsChoose.org. We’ve already sent the money we collected to help fund eleven new classroom projects for teachers who requested books and supplies. You can see more about the projects we helped by clicking here. Putting together an event like this took a lot of effort. In addition to their regular work, McKenzie Books employees volunteered an additional 23 hours of their time before and after hours to the sale. They did everything from making sure our signs were ready, to cleaning up after the sale, and boxing nearly 1,000 unsold books to go to their new home at the Beaverton Friends of the Library Book Corner. Our staff had the privilege of meeting so many of our regular and new customers face-to-face. We hope all of you had as much fun as we did! As we head back to work after a weekend where we celebrated our country’s independence, it’s great a time to remember the freedom and opportunity that reading gives us. Thanks for helping share that freedom with a new generation of students by becoming “citizen philanthropists” at our Charity Sidewalk Sale. This entry was posted in Cash4Books News & Updates, Giving Back, Sustainability Committee and tagged Cash4Books News & Updates, DonorsChoose.org, Fundraising, Libraries, McKenzie Books on July 2, 2010 by Jim McKenzie Smith.